These pictures are from a friend that renovated her daughter’s bedroom-the before and after. 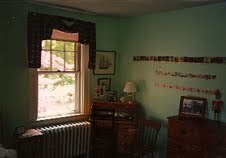 She had to move the radiator that is under the window and at the end of the bed, there is a closet now since there was no closet in the room. Her daughter loves her little nook! This entry was posted in interesting ideas, renovations and tagged Concord, Home Improvement, Interior Decor, Interior Design, renovations, Shopping. Bookmark the permalink.